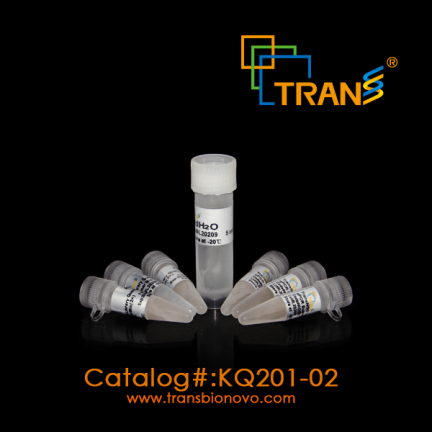 TransNGS™ Library Quantification qPCR SuperMix is a ready-to-use qPCR cocktail. It contains a novel TransStart® TipTaq DNA Polymerase, unique triple hot start technology (DNA binding proteins combined with unique chemical blocker), EvaGreen, dNTPs, PCR Enhancer, PCR stabilizer and optimized reaction buffer optimized for NGS library quantification. TransNGS™ Library Quantification qPCR SuperMix enables accurate library amplification with various GC content. It is provided at 2x concentration and can be used at 1x concentration by adding template, primer, passive reference dye (optional) and ddH2O. A complete kit for library quantification including DNA standards is available here: TransNGS™ Library Quantification Kit for Ilumina. Much stronger and more reliable signal with EvaGreen fluorescent dye. Passive Reference Dyes for different qPCR instruments. 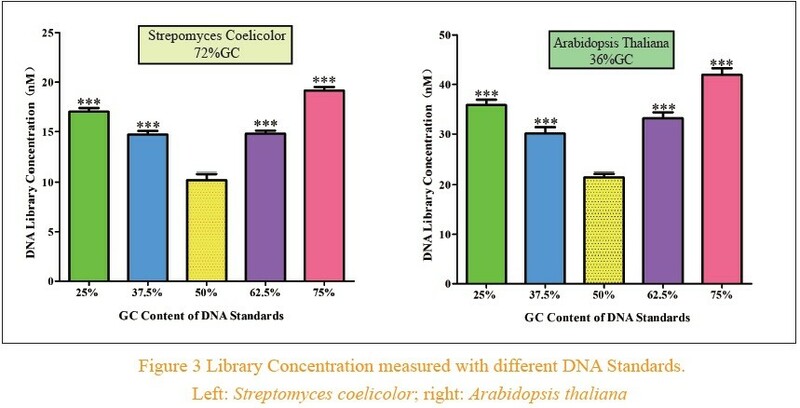 Two DNA libraries were prepared from 50 ng of Arabidopsis thaliana genomic DNA and 50 ng of Escherichia coli genomic DNA using TransNGS Tn5 DNA Library Prep Kit for Illumina®. 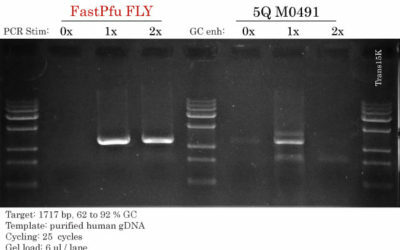 NGS Library Quantification was permormed and assayed using the TransNGS™ Library Quantification qPCR SuperMix. Please select the “EvaGreen” or “SYBR Green” channel to collect signal. Two-step qPCR is recommended for library with medium GC contents and the library size is less than 700 bp. 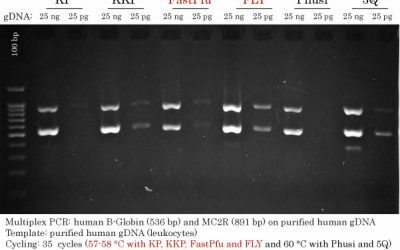 For library with high or low GC contents, it is recommended to use three-step qPCR. TransNGS™ Library Quantification qPCR SuperMix is optimized for amplicon less than 1 kb. For library with an average length longer than 700 bp, we suggest to use three-step method and increase the extension time to 50 seconds. Bio-Rad CFX96, Bio-Rad C1000 Thermal Cycler, Thermo Pikoreal 96, Corbett Rotor Gene 6000, Corbett Rotor Gene G, Corbett Rotor Gene Q.